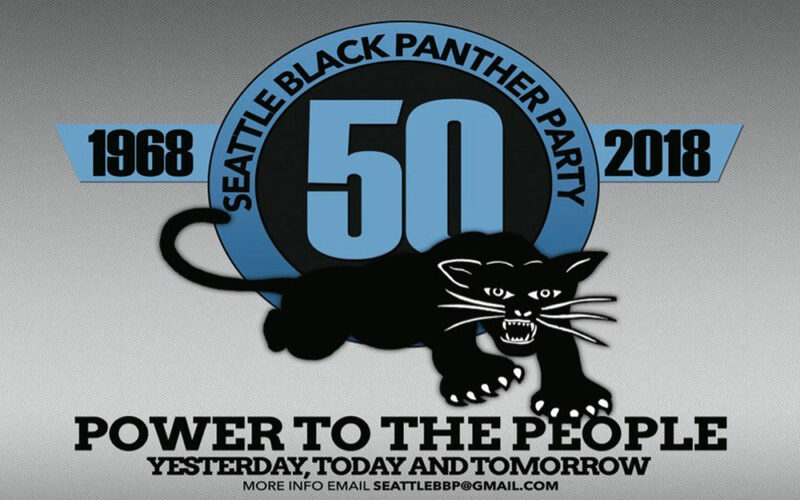 The Seattle Chapter of the Black Panther Party celebrates its 50th anniversary on Tuesday, April 24, at the Triple Door. Join the Party for a special evening of jazz, hip-hop, and soul music to support a week of events around the city, honoring the legacy of Seattle’s Black Panther Party. The night will feature a tribute to Mary J. Blige, “Songs of Life: A Musical Journey of Love & Strength,” performed by some of Seattle’s finest women artists, including vocalists Ashanti Proctor, Arzelia Jones Jr. a.k.a. Z, Patricia Stanford, and La Tanya Horace, fronting a band that includes Erin Rubin (keys), Brittany Davis (keys), Nia Neal (drums), Masa Kobayashi (bass), Jessica Lurie (sax), Kathy Moore (guitar), and Naomi Siegel (trombone). Co-produced by Om Johari. Also appearing are jazz legend, pianist Overton Berry and soul/jazz keyboardist, Darrius Willrich. Founded in 1968, the Seattle branch of the Black Panther Party was the first chapter formed outside of the state of California. A year and a half before the start of the Seattle chapter, the Black Panther Party was born in Oakland, California, with the goal to prevent police brutality as well as establish a new social, political, and economic order, heavily based upon Marxist doctrine, to improve the Black community. The Seattle Chapter of the Black Panther Party was founded by a collection of Seattle activists including brothers Aaron and Elmer Dixon in 1968, following a series of events that included the assassination of Martin Luther King, Jr., and the murder of Bobby Hutton days later. Hutton was the first member of the Black Panther Party to die at the hands of Oakland police; along with a series of frustrating, angering and racially motivated acts against Blacks in Seattle. At one point, the Chapter membership approached 300. The Chapter founding raised the level of struggle, resistance, and Black consciousness in the city. During its most formative period, the Seattle Chapter sponsored free breakfast programs for all children, education programs, and established the first free medical clinic in Seattle’s Black community, originally named the Sydney Miller Free Medical Clinic, after a fallen Seattle Panther, and later known as the Carolyn Downs Family Medical Clinic, still in operation today. The 50th anniversary celebration is in honor of the Chapter’s founding and the continuing legacy of self-determination. Tickets are $50, which will help support the week’s free events, and are available at thetripledoor.net. Visit seattlebpp50.com for more information.